At 720p for the size described, thats a dot pitch of well over 1 inch. I am sure I've made displays approaching that size.. It's my job. 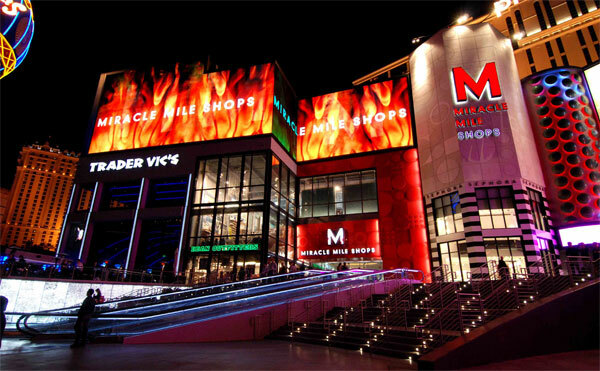 Miracle Miles Shops (a 170-store shopping and entertainment center) that is anchored by the Planet Hollywood (formerly the Aladdin) hotel/ casino commissioned YESCO, Inc. (Las Vegas) to design and install a series of LED video screens (PRISM Display System with a 25mm pitch) that formed a media facade that fit across the upper third of the building. The media facade displays both faced The Strip and also vehicular traffic approaching it from the sides of the building. My big screen can beat up your big screen.